Allow your body to heal with chiropractic care at Source Family Chiropractic in Winter Garden! 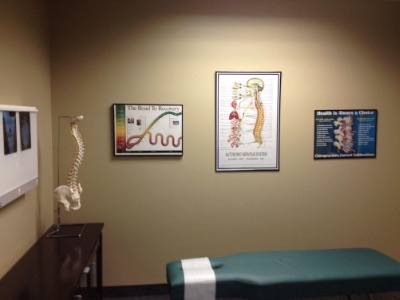 As chiropractors, Dr. Alex and Dr. Josh have one simple goal: to detect and correct vertebral subluxations, or structural shifts of the spine that interfere with your nervous system’s ability to function at its full capacity. With chiropractic adjustments, your body can use the wisdom of its innate intelligence to heal, letting your brain and body communicate optimally. Why Is the Nervous System so Important? Your central nervous system coordinates and controls everything else in the body. If there is pressure on a nerve, it can result in a myriad of problems. For example, if pressure is placed on a nerve that leads to the stomach, it might lead to acid reflux or indigestion. Kids can experience issues such as ear infections and digestive troubles due to a stressed nervous system. Dr. Alex and Dr. Josh utilize a variety of techniques chosen based on what is most appropriate for you. Upper cervical care, as well as full spine adjusting, are offered. These are hands-on approaches that are assisted by a drop table. Before beginning, you will be fully informed about what you can expect. Please rest assured that there is no pain involved in your visits to the office — that is unless you have the misfortune of being within earshot of Dr. Josh’s jokes! Contact Source Family Chiropractic today to get started on experiencing the many benefits of chiropractic care. Emergency cases are seen and complimentary consultations offered.